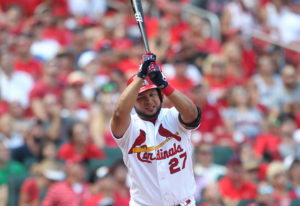 Adam Wainwright gave up three runs in each of the first two innings as the Cardinals lost to the Braves 6-3 at Busch Stadium. Atlanta took the final two games of the three-game series as the Cardinals dropped a game behind Miami for the second wild card. At 58-53, St. Louis has dropped six of their last eight and have most likely lost out for a chance at the Central Division. Chicago swept Oakland to open up an 11.5 game lead.